This entry was posted on November 13, 2017 by B4S. 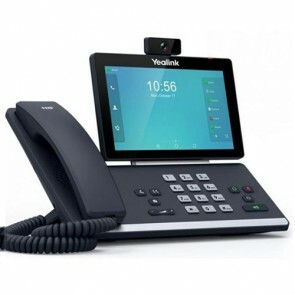 Yealink, an established provisioned of IP/ SIP endpoints ( predominantly deskphones ) have added to their portfolio with the T5 range of phones which bring the future to desktop interface. 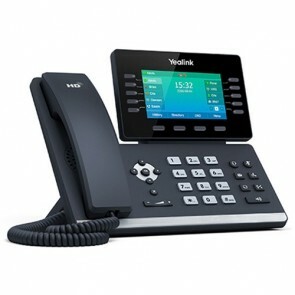 Apart from the undeniable 'under the hood' quality of these Yealink telephones the most striking thing ( to this reviewer anyway ) is the inclusion of the colour screens - large, vibrant colour screens. 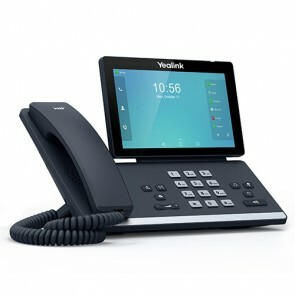 The Yealink T5 Series of phones, start of with highly featured SIP endpoints known as Business Media Phones, with colour displays and, at the higher end, deliver touch screen colour displays based upon the Android Operating System ( Version 5.11 ) which enables intuitive access to a host of features. 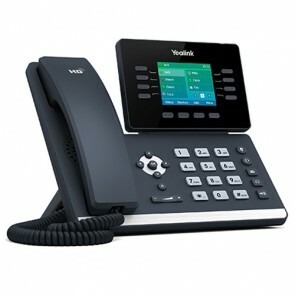 The Yealink T5 Series can handle multiple SIP lines whilst allowing multiple connectivity options throughout the various models. All models will allow POE ( Power over Ethernet ) and have Gigabit Ethernet to deliver the speeds necessary for clear speech and data transmission - the sound being further supported by Optima HD voice technology and Opus Audio Codec. 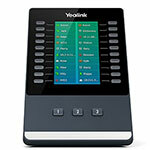 All models in the range are expandable via the Yealink EXP50 Expansion Module. If you are interested in further information on the Yealink T5 Series of business phones then please feel free to call us on 0844 824 6664 or contact us via the form here.